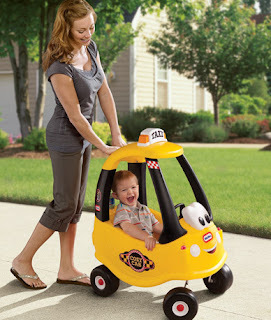 Right now over at Mamasource you can spend $1 and get a 15% off coupon to Little Tikes plus free shipping on the Cozy Coupe Cab. The 15% off is only good toward the Cozy Coupe Cab. That is so cute. Thanks so much for the coupon!